Educational Mini Poster: Whether you grew up on a farm or you just have a soft spot for these cute little curly tailed animals, this great educational mini poster will give you all the facts you need to know about little pink piglets such as their average weight, habitat and other interesting facts. 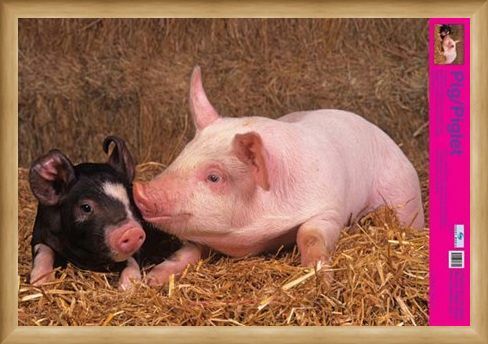 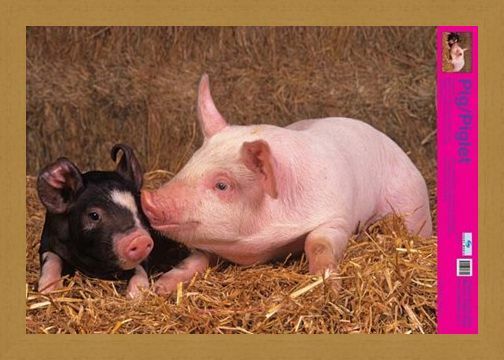 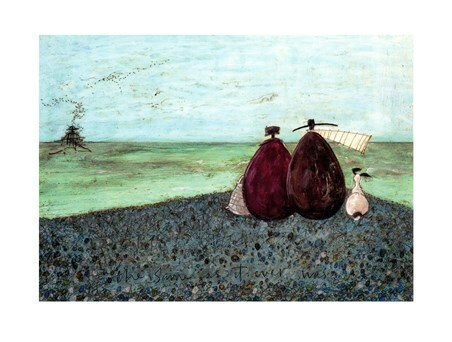 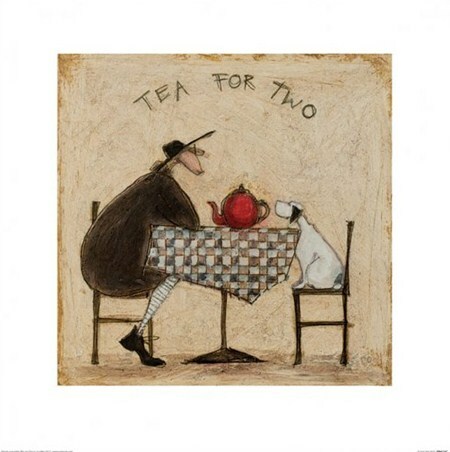 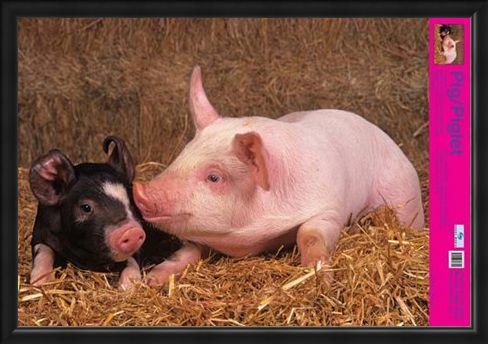 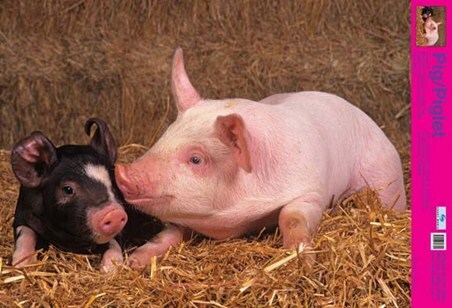 Accompanied by an adorable photograph of a pink and a black and white piglet, this poster will make a lovely addition to your home or the classroom whether it is used for educational purposes or just as something to put a smile on your face. 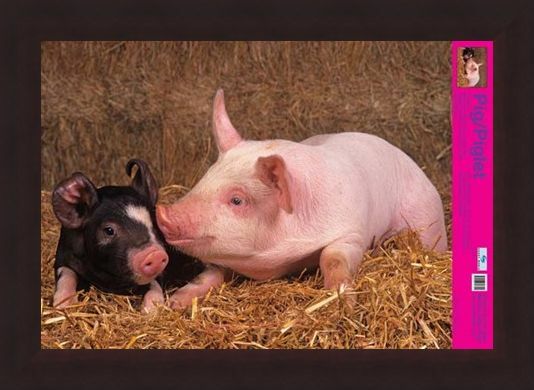 With little black eyes, pointy ears, big snouts and a curly tail, pigs and piglets are kept as domesticated pets all over the world and it is easy to see why they are so well loved just by looking at this excellent mini poster. 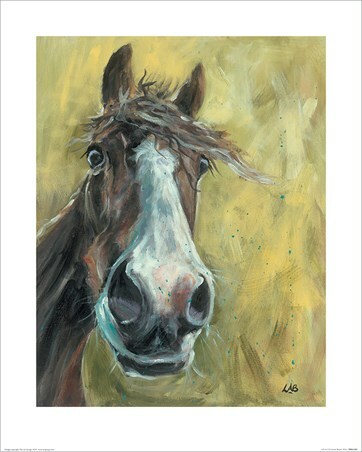 High quality, framed Curly Tailed Cutie, Piglets mini poster with a bespoke frame by our custom framing service.